If the Seasons in Minecraft are still- as they may appear then this idea should be added regardless. the arrows would be much more in accurate than the norma/current actual bow to balance for. And yes they could be enchanted. Hm... partial/mixed support on this. I think a fall colors biome would be neat, but I don't think the leaves should be blood red. The leaves should probably be more red-orange or orange. Perhaps different trees can have orange, yellow, or red-orange leaves. I feel that the issue here is your choice of color. The mossy cobblestone should remain green, since moss does not change colors with the seasons. In addition, I feel that firing three arrows at the same time needs some elaboration. Does it fire them in the exact same trajectory or does it spread over an area? Does each arrow deal the same damage as it would from a regular bow? What about durability and enchantability? What about the foxes themselves, are they tameable? Do they behave like wolves in that they become hostile when attacked? To those of you suggesting new uses for Emeralds in the suggestions forum: Emeralds have enough uses. You can trade with villagers to get diamond armor/tools/weapons and enchants. 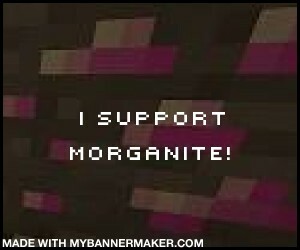 Stop suggesting that Emeralds are useless, and learn to play Minecraft. Thanks. I thought this was for a redwood tree biome, never mind. Anyway to the point, why would attaching fox tails make a bow shoot faster? I like the idea in general, but I think you should add more details to the new bow and change the bloody color. The thing is its to be autumn colored and since its a biome i was leaning more toward the idea that even the moss is red, which in reality there is red-yellow moss, but mossy cobblestone is different from red-mossy cobblestone in this instance. I wanted a variation of colored leaves too, but i cant simulate that, and also i seen a really immersing red tree forest with a similar pallet on a scented candle picture that really inspired the red, but couldn't find that image to share unfortunately. Also the bow would just be a little more inaccurate, more bird shot. I'd like to think the bow can hit within 2 blocks radius of a targeted block 20 blocks away, 3 blocks radius at 30 so on so forth. The enchantments would be the same as the normal bow, but the durability is 1/3 the normal bow hence the 3 arrows per fire. No the foxes aren't hostile when attacked, I don't want them tamable because we have a good number of tamable creatures, although a pet fox would rock... but its too spammed. Yeah sorry i didnt think about the coincidence there, oops..... sorry. It wouldn't- it makes shots less centered if anything and more of a tribal-hunter decor that acts as a bow modifier. I thought the same, lol, what if you seen that in a dungeon, btw that is literally the color hued from green to red on the actual mossy cobblestone block. I think a better name would be something like "Autumn Forest" or "Deciduous Forest" etc, because Red Wood, while not quite the same as Redwood, suggests a redwood forest, which is something completely different. I think a better use for Fox Tails would be in brewing, perhaps a "Potion of the Hunter" that imbues some kind of Archery bonus, such as faster draw speed, faster arrow travel speed, chance to spawn a bonus arrow depending on rank, etc, might be more flavor appropriate to Minecraft. I can't think of any recipes in Minecraft where an added ingredient adds some sort of magical powers to the tool. 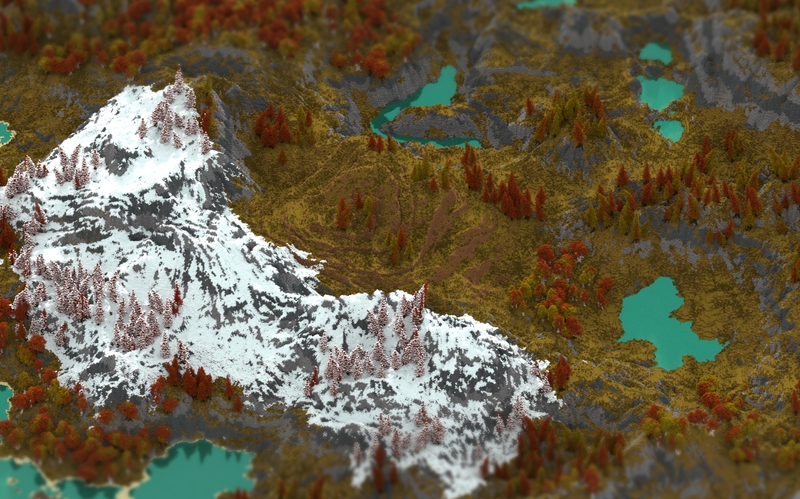 Thats a point i just covered yeah Red-Autumn biome. I want the name to have red in there just because i want original emphasis on the biome inspiration. Nah, a lot of the suggestions here are really in depth. Please do elaborate more. Also, how much damage do each of the arrows being fired do? The same as an arrow fired from a regular bow? Also I would like to suggest the name scarlet forest for the biome. And i'm really leaning toward a potion of hunting with the fox tails or instead of a new bow; new arrows using the foxtail in the crafting recipe that when fired, fire 3 arrows. This biome fits for a Crossbow come to my Crossbow idea post for any suggestions for it. And a crossbow? post # 21! I just don't wanna overwhelm the suggestion but i'll go for it- i'm going to overhaul the thread soon to update it with better concept art and ideas- along with polls and a banner to share with, thus far there's no negative support but i do want people to feel a reason for this suggestion to be implemented to vanilla. Do foxes spawn in other biomes? I think they should, just more commonly in the scarlet forest. Maybe the scarlet forest could also have its own special structure of some sort? I could see the fox in plains and mega taiga biomes but thats about it, and if to any opposition, mojang would decide and make the structure.